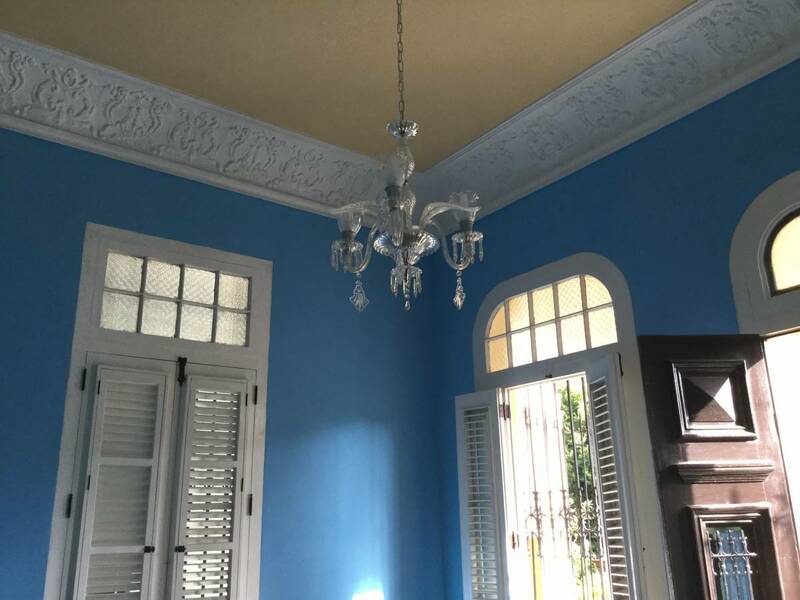 The structure consists of an ancient colonial house dating from 1929 completely renovated in full respect of its original architecture, so you will take a big step back in time. All apartments are equipped with the best possible comfort (air conditioning, digital terrestrial TV, fridge in the room) and very broad bathrooms equipped with central heate. 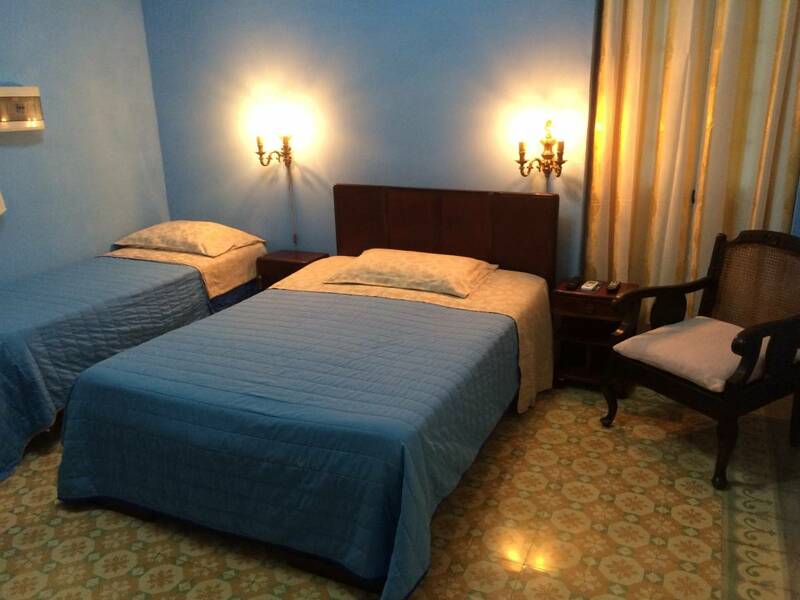 Located in the department of Vedado, the residential heart of Havana, just two blocks from Avenida Paseo and adjacent to the Plaza of Revolucion, our Bed & Breakfast offers the possibility of spending in absolute relax your stay in the Cuban Capital without sacrificing a vital need: to immerse themselves in the traditional and "caliente" Cuban environment. Faces, customs, habits, traditions, smells, tastes of an enchanted place where time seems to stand still will be here waiting for you. 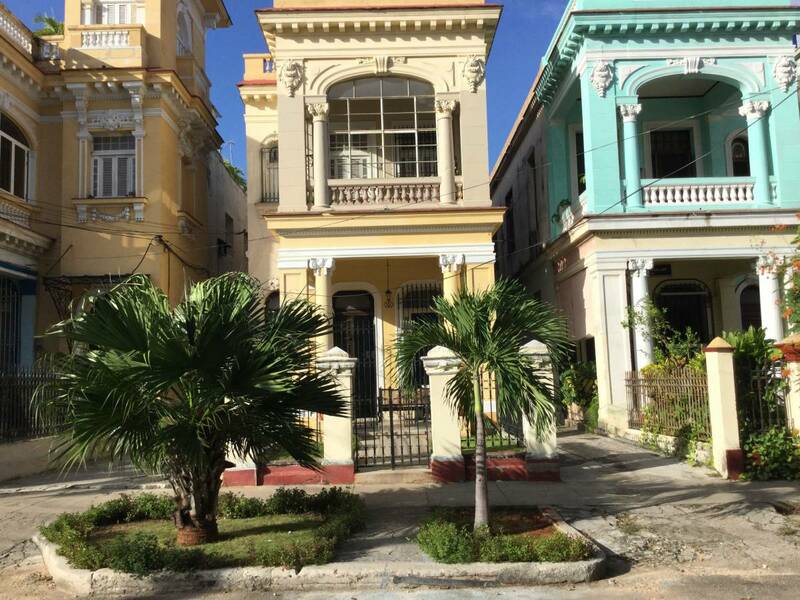 We are 20-30 minutes from the beaches which are all located outside the city but easily accessible by any taxi, and 10 minutes from the Capitolio, the adjacent old town Habana Vieja and the main and most famous discos and nightclubs . Therefore you will stay in the most important and strategic residential part of the city also for the disarming ease with which you can reach any destination. From the International Airport of La Habana "José Martí" You can reach us easily with any taxi. The average fee that you will be requested by any chofer (driver) to take you almost everywhere varies from 20, 00 to 25, 00 Cuc Cuc (Read Euro). There will be sufficient to simply show the address and in 15 minutes you will be guided to your destination. If would you like will be our pleasure to welcome you personally at the airport. 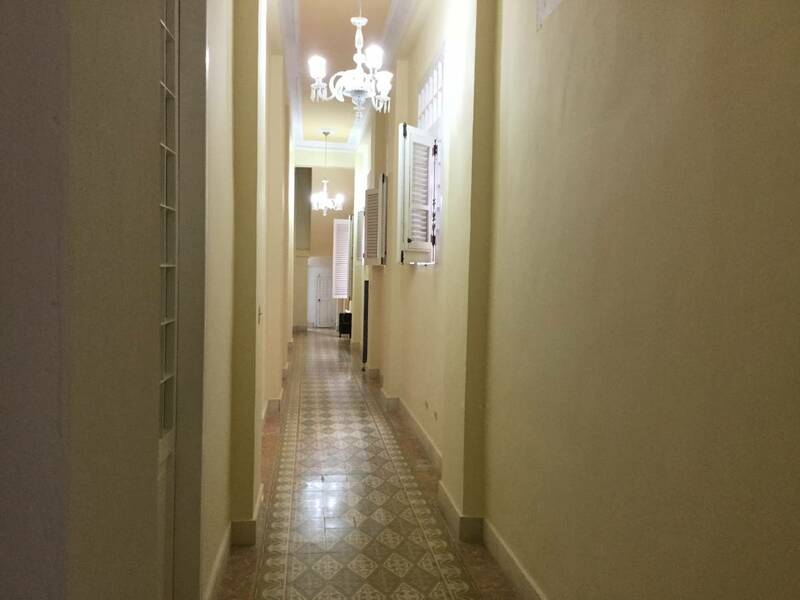 In La Habana the streets have an urban checkerboard pattern with roads that intersect at right angles. Every block (from street to street) is called "quadra." 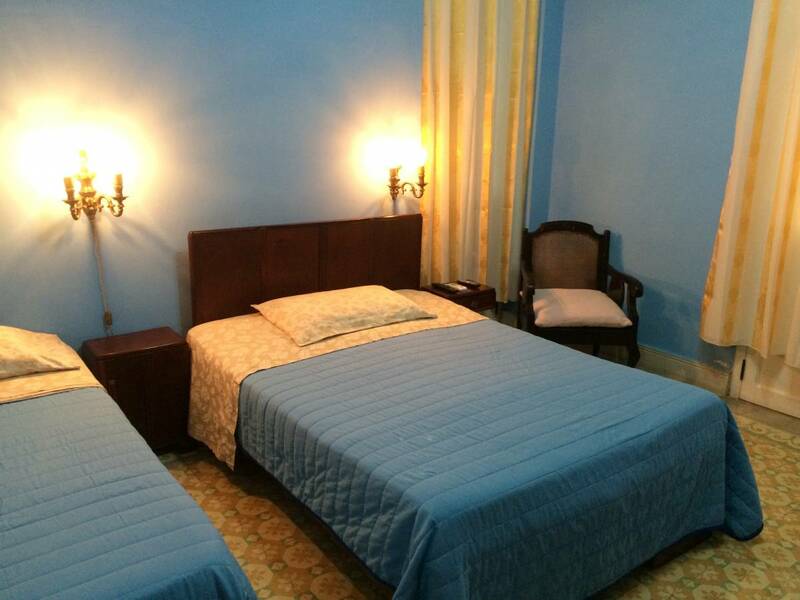 The B&B is pretty close to the calle 23 that runs through the Vedado for over 2 km from the Malecón (i. e. the waterfront) to the cemetery of Colón (Christopher Columbus) considered for architectural value, artistic and size of the largest cemetery in the world. 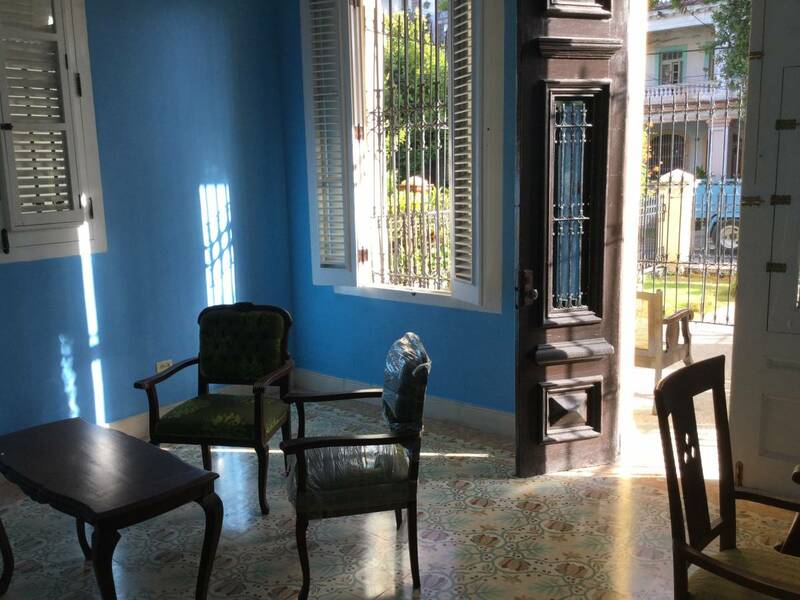 Calle 23 is called "la Rampa" in the section between the hotel Nacional, Art-Deco building (1930) overlooking the sea, and Habana Libre luxury hotel, decorated with a huge ceramic mural. This important road focuses banks, travel agencies, cinemas, bars and hotels' night clubs. Also on calle 23 and opposite to Building Focsa, the tallest building in Havana, we will find the Coppelia ice-cream shop, which was made famous in the world by the film Strawberry and Chocolate (Fresa y Chocolate) and that, along with the same calle 23, It is one of the stainless and most important institutions of the capital. It had old American nostalgic retro items all over. The bar ceiling was made out of actual vinyl records. The food and drinks were good. Especially the Salmon Croquettes. Nearest airport: From the airport to the hostal 15 minutes in a Taxi.